Google Chrome becomes the best browser since it came into the market. Chrome is one of the fastest browsers and the availability of features makes chrome incredible. Another reason for Chrome to being so popular is because it is associated with Google and one of the successful browsers in the market so far. 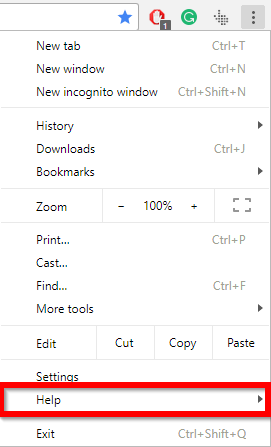 Chrome is so very customizable to make an environment of your choice inside your browser, which includes adding features button using extensions. You can have access to the browsers incognito window. to get the private access which will never save what url you accessed, which site you enter and any of the data which is associated with incognito window will be vanished right after you close that incognito window. Chrome saves a lot of your time saving your lot of usual filling data inside it Since the internet is so vast you may not have accounts on only one website. The more websites services you use, the more credentials you will have and sometimes it’s really hard to remember all that. For Such cases, you have the option of autofill, which saves your credentials inside of each website you log-in. You may also be thinking why not stay login forever and not logout anytime, but not every site gives you such facility like social media sites, where you will stay logged in until you logout by yourself.Whereas other sites maintain your login session for a specific period of time and then you will be automatically logged out from the site. On that case you must have your credentials on yours. And if you don’t have then you have to go through the complete process of password recovery which is absolutely time-consuming. So you now have realized how important this feature is, and this is not it about chrome browser, You have bunch of other options like cookies and saving cache of each website you visit, so next time you visit the site you get the fastest access and it will save your internet data by not loading the basic and un-updated content of the site and a lot more you can do with google chrome. First Of all, open your Chrome Browser. Click on the menu button from the top right corner. From the list choose Help option. Help button will give you another three option inside of it, Just click on About Google Chrome. Here you will see the Google Chrome Heading with its logo under which the version of chrome is written. Paste this URL on your chrome browser chrome://settings/help it will take you to that page directly. If this URL doesn’t work then you can stick to the above steps and follow them to reach this page. The Another benefit you will get after going through this process to check chrome version is that on the destination page you have the option to update google chrome. Eventually, you don’t have to do anything on that page, it will automatically detect the current version of chrome, and search for the latest version if available or not. If the latest version of chrome will is available it will start downloading and updating it. Once it’s done you can restart or relaunch the chrome browser to apply new updates and features to it. Similarly, you can also check the version of Firefox, Edge, Opera, Safari and other browsers and somewhere around the destination page same as chrome you can also check for updating browser options.